The Guerrero of El Paso, Texas are the American wrestling family of Mexico like The Harts are to Canada and the Von Erichs to Texas. Three generations deep they have a rich heritage in the history of Lucha Libre and American wrestling that all started with the patriarch Salvdor Guerrero Quesada. 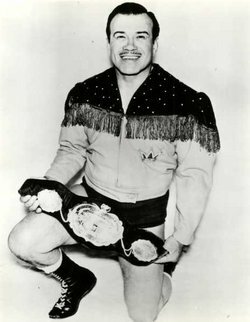 Born in Ray, Arizona, Gory began his wrestling career in 1937 in Mexico. He adopted the name Gory due to his bloody matches. In 1943 he debuted in EMLL, now CMLL the oldest wrestling promotion in the world. A former partner of EL Santo he also appeared in many of his films. The eldest son of the family he was born January 7, 1949 he debuted in 1970. 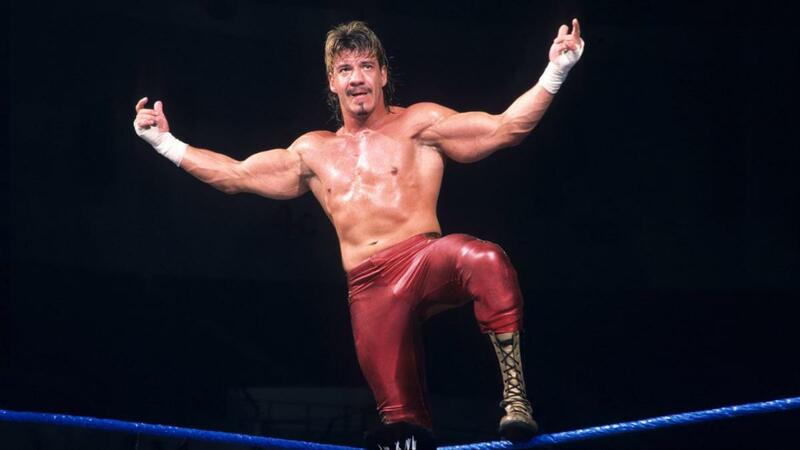 Wrestling around the world he feuded with Atsushi Onita in Japan, and "Rowdy" Roddy Piper in California. 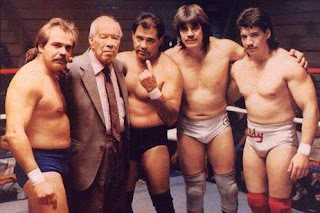 He formed a trios team with his brothers Mando & Hector including defeating Cactus Jack & The Rock n Roll RMPS at AWA Superclass III. He had numerous championships but probably most well known for his short 28 day reign as WWE Cruiserweight Champion. 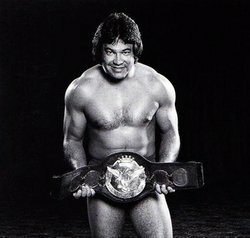 He debuted in the company managing his son and dubbed Chavo Classic he got over with crowd and accidentally won the title. Sadly he passed away on February 11, 2017 at the age of 68 from liver cancer. Born in 1950 Mando debuted in 1974 after being trained by his father. Fellow wrestler Gene LeBell broke Mando into Hollywood as a stuntman in 1977. Over the years he would have many appearances as an extra or supporting acting roles. He trained all the ladies of the original GLOW to wrestle, a roll his nephew Chavo would later fulfill in the Netflix GLOW televisions series. 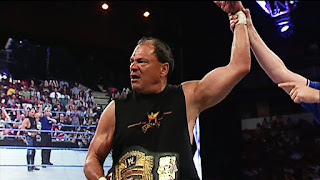 Compete in two battle royals after this match; January 29, 2011 in a PWG Legends Battle Royal and January 28, 2012 in the WrestleReunion IV Legends Battle Royal. Born in 1954 he was trained by his father Gory and debuted in 1973 wrestling primarily in California. 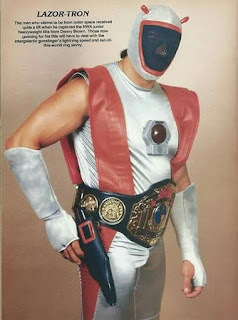 In the mid 1980's he debuted in JCP as Lazor Tron winning the NWA World Junior Heavyweight Championship. 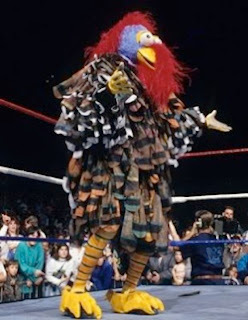 He also had the dubious honor of wearing the Gobbledy Gooker costume at it's 1990 Survivor Series debut and in 2001 at the WrestleMania X-Seven Gimmick Battle Royal. In recent years he was the voice of TNA/Impact Wrestling's Spanish announce team from 2007 - 2015. He had short on air run as the manager of LAX. The youngest son and arguably the most famous of the Guerrero family Eddie was born in 1967 trained by his father he debuted in 1986. He began is career in earnest in Mexico first for CMLL and later AAA. Teaming with "Love Machine" Art Barr as part of Los Gringos Locos they were a hell of a tag team! They lost a hair vs. mask tag team match at the When World Collide PPV to Octagon & El Hijo del Santo. He wrestled in New Japan Pro Wrestling under the mask as Black Tiger. He made his splash on the American wrestling scene in 1995 for ECW where he some amazing matches with Dean Malenko and Too Cold Scorpio. 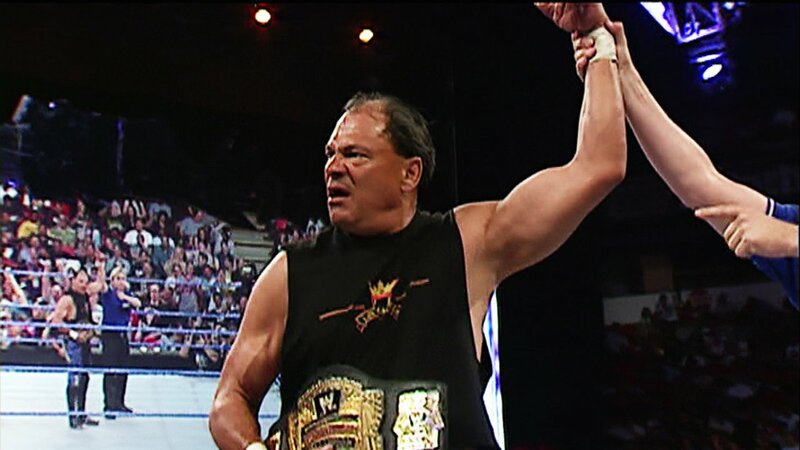 I don't think I need to write about his run in WCW and later WWE where he would ascend the mountain top defeating Brock Lesnar for the WWE Championship on February 15, 2004. His feud with JBL over the championship was one of the most violent in the WWE, it's worth a watch. 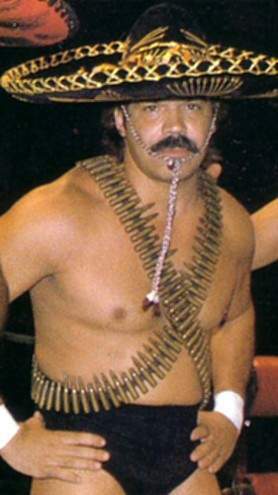 Sadly Guerrero died on November 13, 2005 at the age of 38 from heart failure. 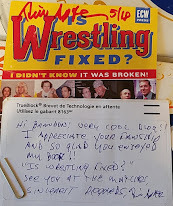 You should go out of your way to read his book, that was released after his death but written by him, and the WWE DVD home video on his life. The wife of the late Eddie Guerrero her first foray into wrestling in 2005 was during the storyline where Eddie and Rey Mysterio were feuding. In 2006 she began appearing regularly during the feud of Chavo and Rey Mysterio. In 2007 she became the assistance the SmackDown General Manager Teddy Long, later becoming the General Manager of SmackDown then Raw until her departure in 2014. During that time she would have a romance with Edge, wrestle in a few matches, and become on of the most hated people with her catch phrase "Excuse Me!" Was also in the first ever women's Royal Rumble match on January 28, 2018 but only lasted a few seconds. 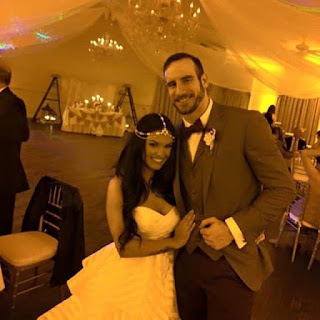 The daughter of Eddie and Vickie, Shaul was born in 1990. She signed a developmental contract with the WWE in late 2010 wrestling her first match on February 11, 2011 for FCW under the name Raquel Diaz. She won the FCW Divas Championship as well as the Queen of FCW title. She continued wrestling when the brand was renamed NXT but left the promotion in September 2012. She returned a year later and was released in April 2014. She is currently married to SmackDown performer Aiden English. 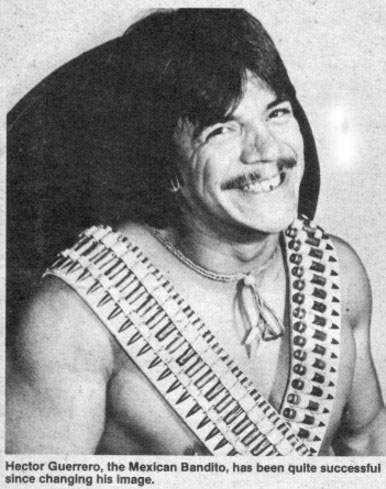 This third generation performer is the only Guerrero that is still active in wrestling currently for Lucha Underground and on the independents.